Don't let their size fool you! These will be your buds of choice because our earbud design utilizes a built-in acoustical chamber to reproduce low frequency bass response. The sound signature that was created just for this model is superior yet natural in performance. Multiple ear "squishies" are included to ensure every pair of earbuds gives you a perfect custom fit since no two ears are alike. 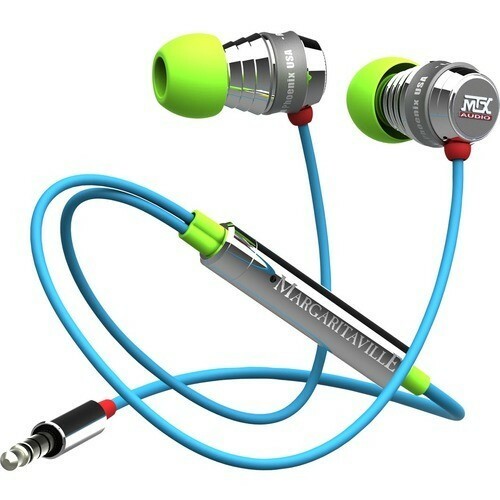 We've included 9 extra pairs of earbud tips to fit all sizes of ears: small, medium, and large in green, blue, and yellow. 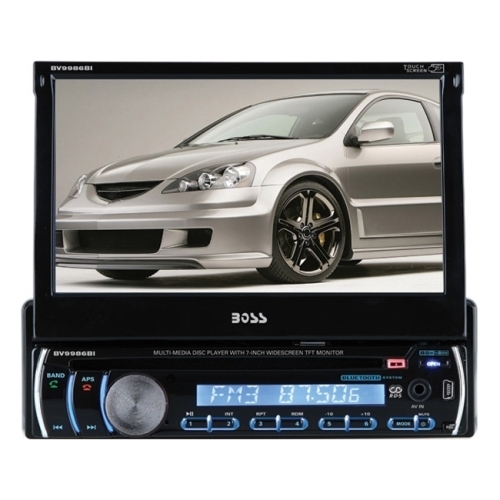 With the in-line, made for Apple Mic and remote control, you can play and pause your music, adjust the volume, and take a call on the iPhone 3GS or later, all iPad models, iPod touch (2nd gen+), iPod nano (4th gen+), and iPod Classic (120/160GB). Real bass in a headphone? Novel concept? Not to us. In True MTX style, we had ours designed by audio engineers who actually know something about bass. Inspired by the water that flows through the Bahamas, this model captures a hint of aqua turquoise and a splash of that tropical sea foam mist. It's a cool blue unlike any other, like looking out onto the ocean for the first time as your eye takes in an overwhelming cascade of translucent rays gleaming through the water reflecting the sky above. 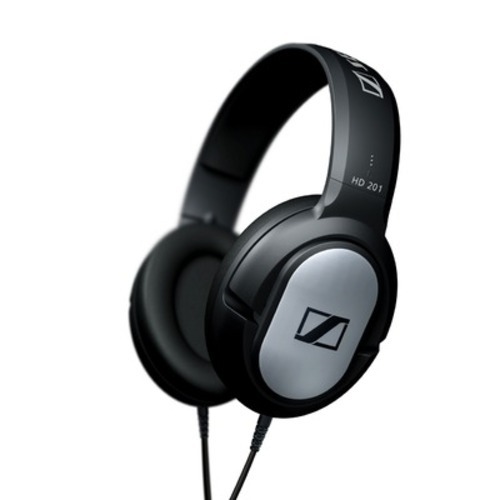 A blue so bold yet so calming you forget we're talking about a pair of amazing sounding headphones. What's the sound of Margaritaville? It's the sound of paradise... The soundtrack of your tropical vacation destination... A blender mixing your favorite drink, gulls calling overhead, waves crashing on a white sand beach... You get the idea. 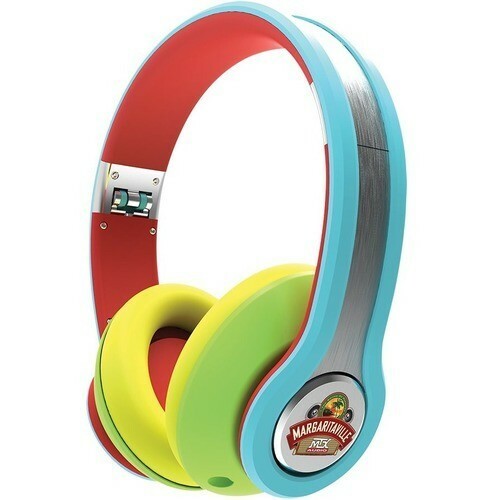 Whether your perfect getaway's album is country, rock, or just a mellow island tune, Margaritaville Audio provides the right blend of colorful style and perfect sound. 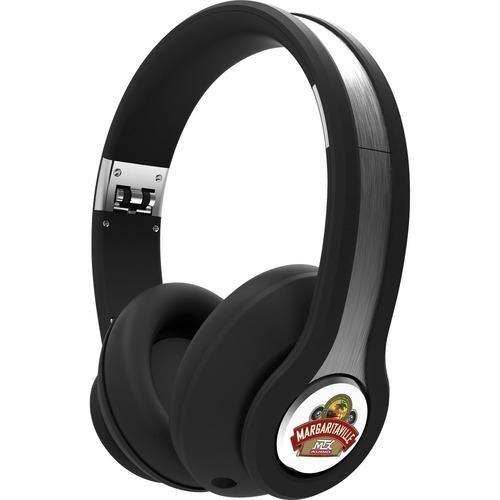 Margaritaville headphones can be daisy chained for a shared listening experience using the headphone jacks on each of the ear cups. Pick which ear cup you want your audio device plugged into, and then plug another pair of headphones into the other ear cup. We even give you an extra 3.5 mm cord because sharing is caring! A double-compartment, microfiber-lined drawstring pouch lets you protect your headphones and cords and take them with you in style. Keep them close with the included carabineer clip. Real bass in a headphone? Novel concept? Not to us. 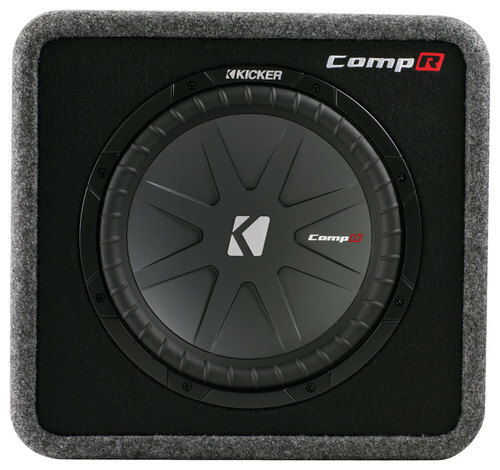 In True MTX style, we had ours designed by audio engineers who actually know something about bass. Massive, 40mm audio drivers in each ear cup deliver exceptional full-range sound to immerse you in an audio paradise. We're so confident in the quality of these headphones that we give you a 30-day money back guarantee along with a 1 year warranty. Buying with confidence never sounded better! They may see you coming before they hear you. 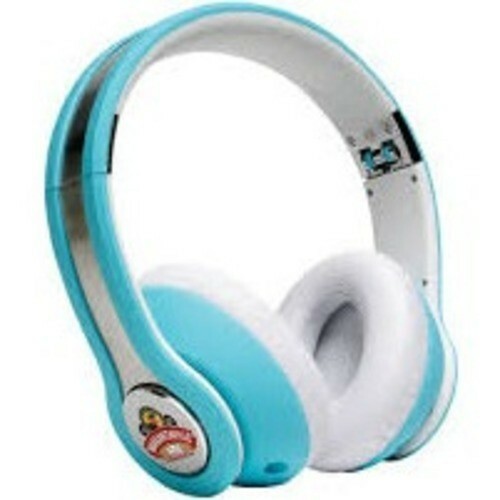 These headphones are ideal for any true Parrot Head looking to flaunt their plumage in the city or in the wild. Our bird of paradise sports a yellow, lime, blue and red color palette second only to your sacred Hawaiian shirt. Be bold, be proud and be loud! We sent our designers & audio engineers to Hawaii's Volcanoes National Park to do field research and study environmental acoustic patterns. The result - our signature "Black Sand" model that takes its styling cues from the Punaluu Black Sand Beach located on the southeastern Kau coast... Our research team is still "on assignment." This classic black is understated, clean, & classy but by no means are you required to be the same. 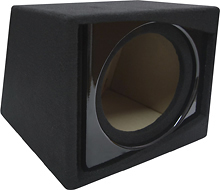 This Metra TCPSP-110 ported subwoofer enclosure holds a 10" subwoofer and features a prewired design with a terminated terminal cup for a simple connection. The MDF material and automotive carpeting provide durability. 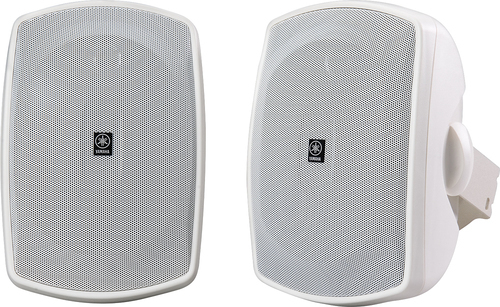 The ideal entry into the world of powerful stereo sound:The HD 201S has good attenuation of ambient noise with outstanding wearing comfort at an affordable price. Light weight and comfortable to wear.